Title: A Paraphrase and Commentary on the New Testament. In Two Volumes. The First, containing the Four Gospels, and the Acts of the Holy Apostles. The Second, All the Epistles; with a Discourse on the Millennium. Vol. 1. 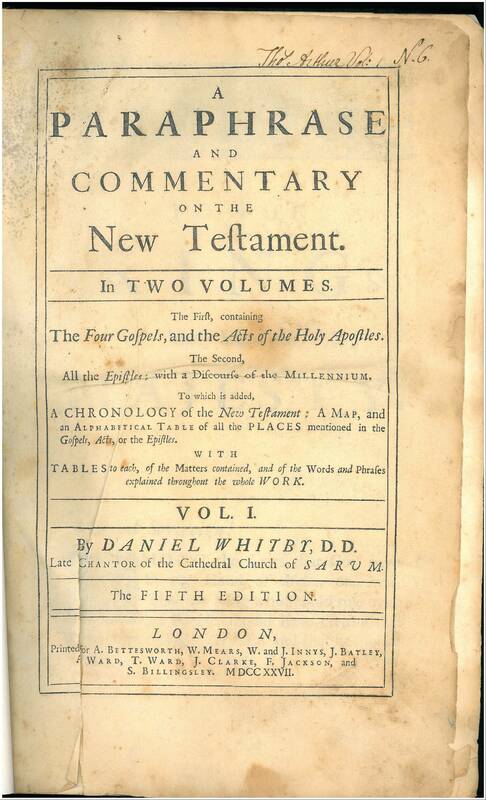 By Daniel Whitby, D.D. The Fifth Edition. References: Chamberlin 536-2, Taliaferro-EELBV 7115.